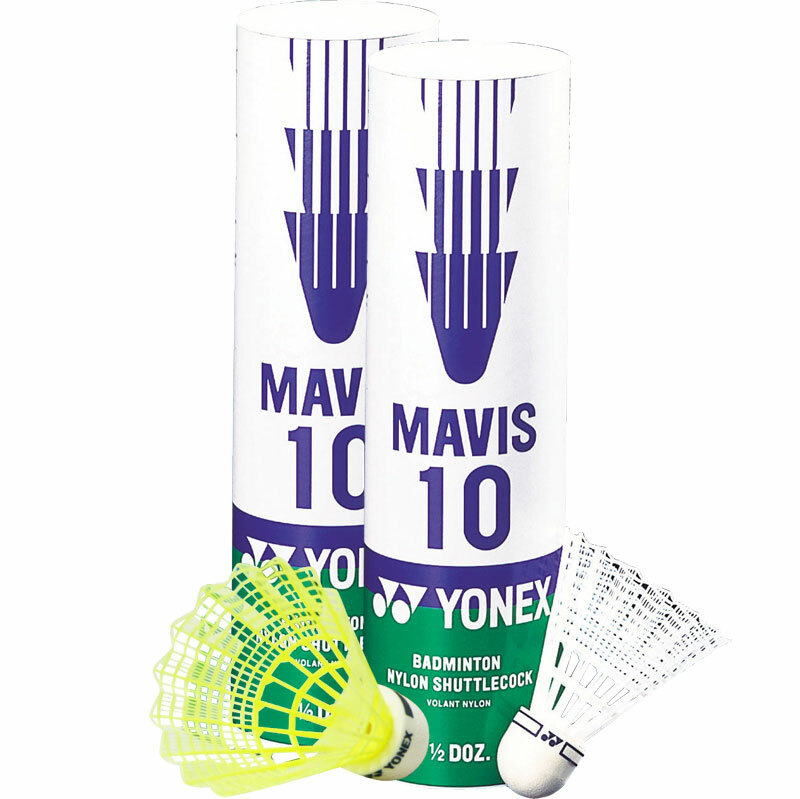 Yonex ® Mavis 10 Shuttlecocks - 6 pack - closely approximate the fast recovery, peak, drop and flight trajectory of feather shuttlecocks. 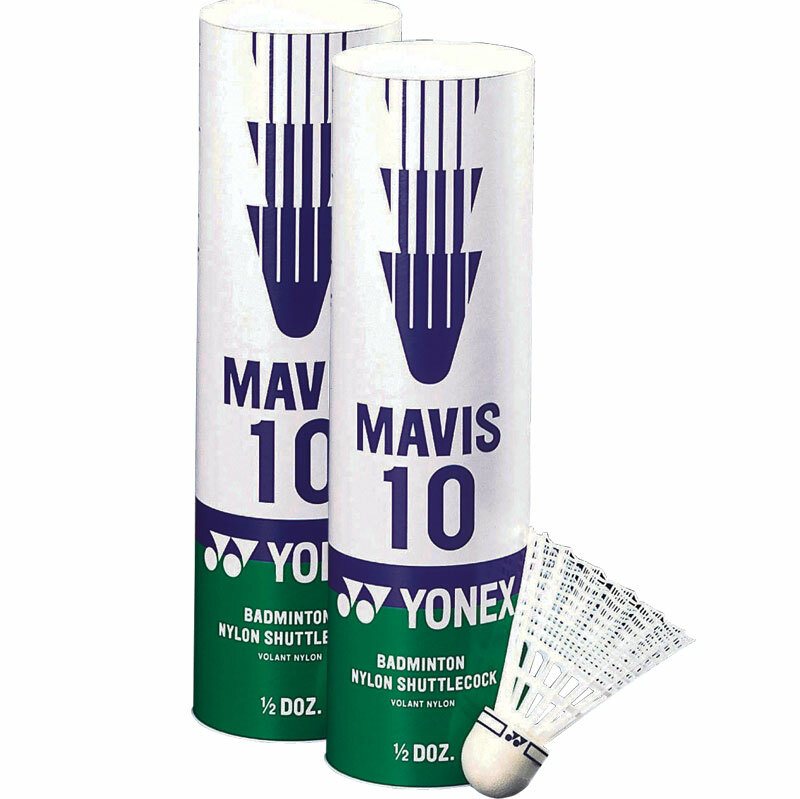 Offers exceptional performance to the leisure player. 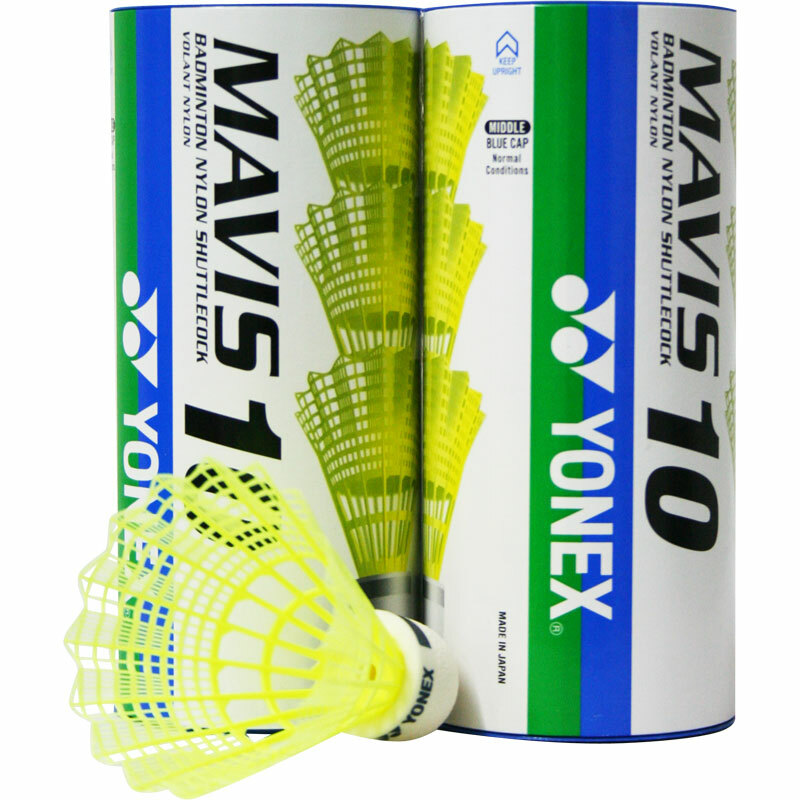 Available in white or yellow, medium speed.